In our first 2XL Racing strategy guide, we focused solely on the basics, as the goal was to help you, the player, get your feet wet and learn the fundamentals of this fun racing game. But before moving on to our new guide, here’s a refresher on the game. 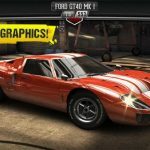 This is an Android and iOS title that allows you to compete in Street Wars in the city of Los Angeles – these are quarter-mile drag races where you can earn more money in tribute with each driver you beat. You can also take part in multiplayer racing for some nice prizes, but regardless of your preferred mode, there are lots of real-life cars for you to collect, including high-powered vehicles from all over the world – the Camaro, the Mustang, the McLaren P1, and many others. Having told you a bit about the game, let’s now move on to our new strategy guide for 2XL Racing, which focuses on tips for intermediate and advanced players who have completed a tier or two in the game. While one of the positives of 2XL Racing is the ability to collect tribute money, with the amount of money increasing with each territory you take over on the map of L.A., there is one negative point worth noting. That arguable negative is the lack of a feature that allows you to grind, or replay races you’ve already won. Normally, retuning to those old races is a nice way to earn upgrade money in racing games, but with the tribute feature in place, 2XL probably felt that grinding in story mode would be superfluous. 2. How Should You Be Spending Your Gold? As we’ve noticed, boss cars appear to be rated higher than fully-upgraded cars in the game, assuming your fully-upgraded car runs on regular fuel. What we’d recommend, especially if you’re not too confident of beating the boss, is to spend your gold on premium fuel, which gives your car a modest, yet decent enough stat boost as long as you’re running on it. You should, before that, make sure your car is fully upgraded before taking on the boss, because anything less than that would put you at a sizeable statistical disadvantage compared to his or her car. Even if you choose not to use premium fuel, it is possible to beat the bosses, provided you’re making perfect starts and shifts on a regular basis. Though this may be a bug that is due for patching up, you might be able to win the boss’ Pro-Tuner car in a pink slip race, but with one catch – the boss will be using “Super Nitro,” and your assistant Jessie will ask if you want to buy some Super Nitro for your own car. Normally, this costs real money, but as we’ve observed, agreeing to buy Super Nitro but not proceeding with the purchase makes your car appear that it’s running on that special blend of N2O, thus allowing you to build up a big lead and eventually beat the boss for their car. If you do end up losing, you won’t lose any money or XP or whatnot, and you won’t lose your car either. One big mistake I made after somehow winning the Tier 1 boss’ car was to spend on a new Tier 2 car with the lowest-possible stats for a car of its kind. That left me with barely enough money for upgrades, and forced me to wait to collect tribute several times. Putting it simply, you should take full advantage of your impressive new wheels that you won from a boss, and stick with that Pro-Tuner car. The advantage of Pro-Tuners is that you can level them up to Tier 5, unlike most other cars in the game that can only be upgraded within their tier. In the main menu, you’ll see an option right below Street Wars allowing you to compete in a “Quick Race” that refreshes every six hours or so. 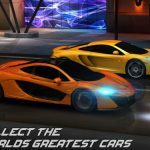 These races do not have any bearing on your progress in Street Wars, and are completely optional, and normally, you’ll be driving a higher-tier vehicle that’s quite hard to operate compared to the lower-tier cars. But we recommend that you give them a try, as winning three Quick Races will allow you to unlock a special prize for free. These prizes may usually come in the form of free upgrades, though you can pay 2 gold for a small, yet plausible chance of winning a free car. 2XL Racing gives you the option to sell cars you no longer need or want in your garage, which is a nice touch to the game. But just to set your expectations, you’ll often be selling your car for about 65 to 75 cents on the dollar, assuming you’re selling a fully-loaded car and comparing its sale price to its purchase price before you installed all those upgrades. In simpler terms, selling your car isn’t profitable, though there are times when you may want to bite the bullet, especially if you’re short on upgrade money. 8. Should You Bother With Multiplayer? Not unless your car is at Tier 5. But how come? We’ve noticed that the matchmaking system hasn’t quite been perfected yet; if you want to “spy” into an opponent’s car’s stats, you can pay 2 gold, but otherwise, you’ll be facing a random human player. 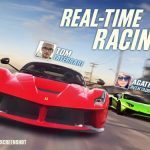 Try racing a Tier 1 or Tier 2 car in multiplayer and chances are good you’ll get creamed on the track, and may lose a good amount of in-game money while at it. So, with that said, multiplayer is only recommended if you’ve got a nice ride.